Thus, 106 temples have been addressed by the Tamil Alwars, who were pillars of the Sri Vaishnava tradition that wasto evolve in Tamilnadu. The contrast in the nature of these temples is stunning, given the diversity in the Indiansubcontinent. 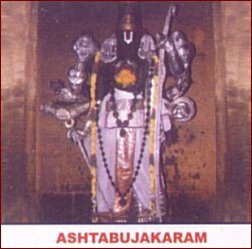 Even a virtual visit to these 106 shrines across the nation, is quite an experience, and is illustrative of this contrast, given the difference in the nature of temples in the various regions such as the Kaveri basin, Andhra Pradesh, Kerala, the Tirunelveli region, the Gangetic plains and the Himalayas.